We’re delighted to share an invitation Mansfield Press’s fall launch on Tuesday, October 14, where TERU cofounder Leigh Nash will be launching her first collection of poetry, Goodbye, Ukulele, alongside several other talented poets (and one non-fiction writer!). Mansfield Press celebrates a decade of exciting literary publishing with the launch of five new books, readings by alumni of the press, door prizes, great conversation, munchies, and general hoopla! This party also marks the debut voyage of a new Mansfield imprint: “a stuart ross book”. with guest appearances by Margaret Christakos, Diana Fitzgerald Bryden, Corrado Paina, and Ann Shin — the full line-up from Mansfield’s first year! 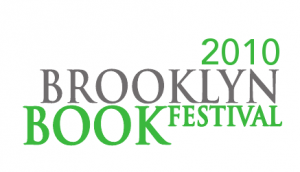 In just over a week, we’re off to the Brooklyn Book Festival (September 12) – along with the fabulous Toronto Poetry Vendors – to hock our literary wares and test our luck at fame and fortune. We’ll have chapbooks and broadsides for sale, so tell all of your New York friends to swing by!